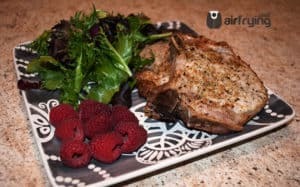 The beauty of owning an air fryer is that you can cook just about anything in less time with better texture than baking or pan frying. 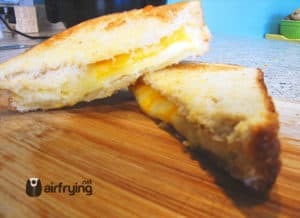 But one of our favorite foods to cook here at airfrying.net is the humble grilled cheese sandwich. While this may seem silly, did you know that there is a an entire movement devoted to the creation and consumption of gourmet grilled cheese? 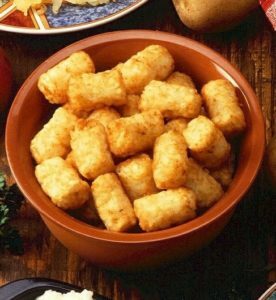 In fact, restaurants have been popping up all over the globe in the last five years that specialize in nothing but gourmet varieties of grilled cheese sandwiches and soups to accompany every flavor. 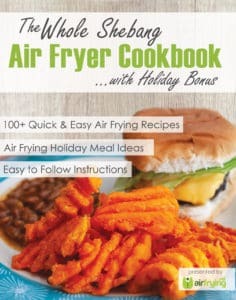 But what we know (and perhaps they don’t) is that grilled cheese is better in the air fryer! So…we thought we’d create the Ultimate Air Fryer Grilled Cheese Guide. From spicy to savory and sweet to sharp, we have the perfect grilled cheese sandwich to cook for any occasion. Lunch date with the girls? We recommend our grilled cheese sandwich with gouda and apples. Playdate with the neighborhood kids? Try our three-cheese grilled cheese. 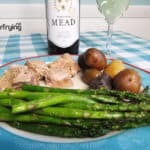 Simple dinner date with your special someone? 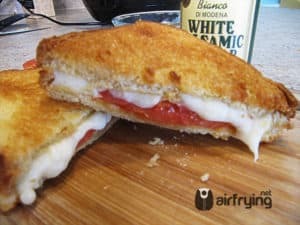 Try our Caprese grilled cheese. 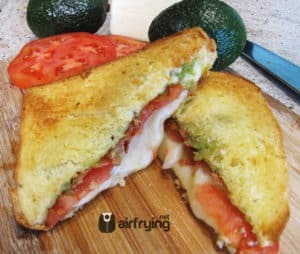 The list goes on and on.Those who love a hint of spice and flavors inspired by Mexico will be fans of our grilled cheese with bacon and avocado. If you’re a lover of French Onion Soup, you’ll go bananas for our Guyere and Caramelized onion sandwich. 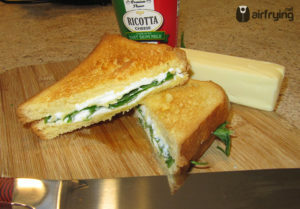 If you love Italian inspired cuisine, be sure to try our spinach and ricotta or our tomato-basil grilled cheese sandwiches. 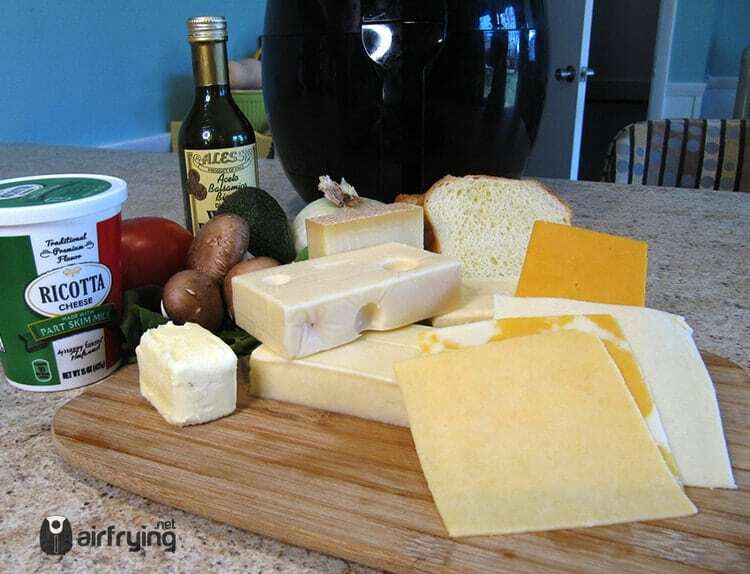 If you are a lover of mushrooms, try our Mushroom and Swiss grilled cheese sandwich. All of these sandwiches make for a decadent experience and can be served on a variety of buttered breads. Our favorites? Thick-sliced Brioche, Sourdough, or Italian, depending upon the flavor combination. Go ahead. Be adventurous. Try out some of these mouth-watering recipes that totally reinvent the humble grilled cheese sandwich. We can guarantee you won’t be disappointed. This grilled cheese sandwich began with a simple question: I wonder if ricotta would be good on a grilled cheese sandwich? Have children? This one is our five-year-old’s favorite! We used colby-jack, provolone, and Havarti cheese slices to stuff this sandwich full of cheesy goodness. 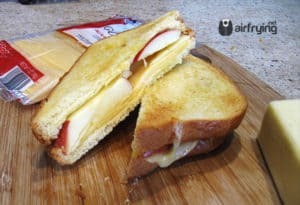 The brioche bread adds a bit of sweetness to the savory cheeses, resulting in a hearty sandwich that will keep your little one fueled for a day outside running in the yard or spent indoors with toys. 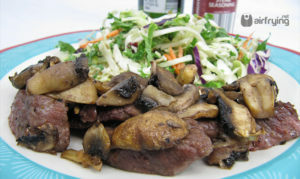 Perfect for cold winter days or crisp spring afternoons, this sandwich has become a staple in our kitchen. 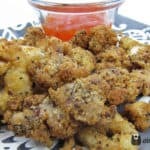 When prepared in the air fryer, this sandwich is light and crisp, rather than greasy, creating a perfect texture you and your children will love. Sound a little weird? 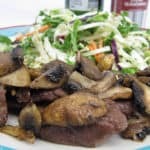 We thought so, too, but, being generally adventurous when it comes to food, we thought, “Why not?” And we certainly weren’t disappointed. The smoky flavor of the Gouda combines with the sweetness of the apple slices for a delightful flavor fusion that pleases even the most sophisticated palettes. This sandwich is perfect for a ladies’ luncheon and goes perfectly with butternut squash or pumpkin soup or any type of vegetable or seafood bisque. This sandwich was born when I decided to turn my favorite salad into a sandwich. One of my favorite restaurant delights that I rarely make at home is the delicious Caprese salad. I love the flavors of mozzarella, tomatoes, and balsamic more than any other salad on the menu. So one day, when it was particularly cold outside, I thought, I’d love to have a Caprese salad, but it’s so cold. I want something hot to eat. Thus, the Caprese Grilled Cheese Sandwich was borne. 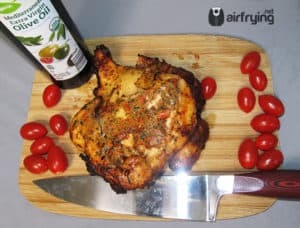 Simply baste both undersides of the bread with balsamic vinaigrette, add vine ripe or Roma tomatoes, and butter the outside of two layers of Italian or Brioche bread. The result is a delicious hot sandwich packed with flavor. In all honesty, it’s like a Caprese salad–only better! 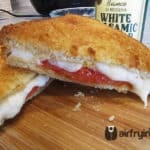 Why not air fry a Caprese salad on a sandwhich!